Stuck for a Christmas Present for a Squeeze Fan? Lyric Writing with Chris Difford anyone? Join Chris Difford, Ivor Novello Award-winning lyricist and founder member of Squeeze, for a crash course in the art and philosophy of writing words that matter. Lyrics are often seen as an afterthought to songwriting, when in fact they’re a critical part of the process. Good lyrics are the key to making a song connect with an audience by imbuing it with an emotional heart – great lyrics will even drive a song’s melody and tone. But many songwriters struggle with writing lyrics, whether through lack of confidence or lack of inspiration. This practical, philosophical and entertaining course offers budding songwriters an amazing opportunity to work in a small group with Chris Difford, the much-loved Squeeze lyricist renowned for his ability to spin everyday life into classic songs such as [[Up the Junction]] and [[Tempted]]. Of course, the best lyrics are true to the writer, conveying ideas and emotions that are personal to them. Whether your head is in the clouds, the kitchen sink or the gutter, Chris will help you use your own feelings and experiences to write lyrics that will resonate with listeners and add new depth to your music. PLEASE NOTE: While no formal qualifications are required, an ability to play a musical instrument is advantageous. Attendees may being an instrument along if they wish, but it is not essential. 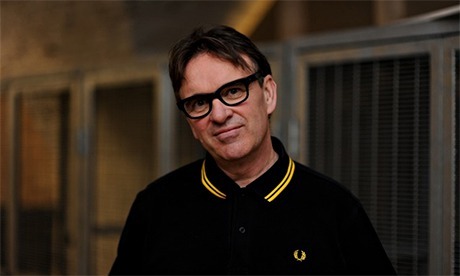 Chris Difford is a founder member of Squeeze and the lyricist behind classic songs such as [[Up the Junction]], [[Black Coffee in Bed]] and [[Pulling Mussels (From the Shell)]]. Chris is the winner of numerous awards, including two Ivor Novellos, one of which was for Outstanding Contribution to Music. Chris also teaches songwriting at Brighton Music College.